• She hails from Atwood, Indiana, a town with no stoplights. • Her parents are Dutch immigrants and three out of her five siblings were born in Holland. • During her childhood, her parents owned a chicken farm and then a grocery store. • She holds an engineering degree from Purdue University and a Masters degree from Pepperdine University. • She is a Big Ten fanatic and is normally not reachable during the NCAA Basketball Tournament season. 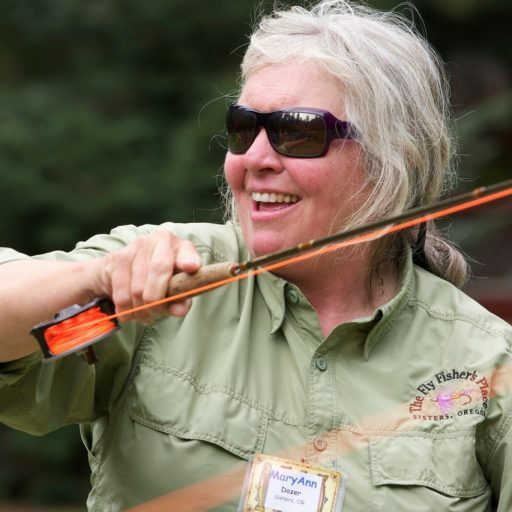 Thanks to Craig Rullman for the Sisters Paper, the Nugget, for my passion for fly fishing & teaching.